Congress leader Mani Shankar Aiyar, who was suspended, said he is ready to face any punishment for his comment that Prime Minister Narendra Modi was a "neech aadmi"
New Delhi: Congress leader Mani Shankar Aiyar, who was suspended from the primary membership of the party on Thursday for calling Prime Minister Narendra Modi a "neech aadmi", today said he would accept any punishment if the party does not perform well in the Gujarat assembly elections because of his comments. Responding to Mr Aiyar, Prime Minister Narendra Modi asked BJP supporters not to respond to the abusive language on social media or elsewhere. "But if you have any anger over the use of such words against me, press the button alongside the lotus symbol on 9th and 14th (Gujarat polling dates)," PM Modi said. 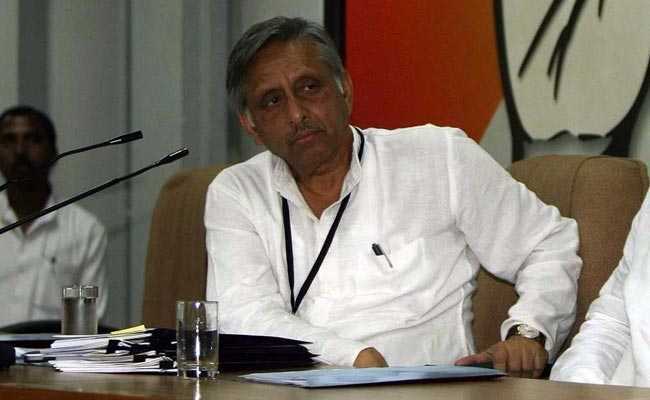 Mr Aiyar said the Congress party has given him a lot, news agency PTI reported. "If the Congress suffers any damage in the Gujarat polls because of my comments, then whatever punishment the party deems fit I will accept it," he said. "...There is no future for India if there is no Congress." The BJP has been in power in Gujarat for an uninterrupted 22 years and according to opinion polls, is set to return to power. But most surveys released this week suggested that the Congress, which won 60 of the 182-seat assembly in 2012 elections, could improve its tally. The first phase of the Gujarat assembly elections is tomorrow. The second phase is on December 14. Results will be out on December 18. Congress vice president Rahul Gandhi has led the party's campaign in Gujarat and might not want the controversy over Mr Aiyar's remarks to spoil the party's chances. Mr Gandhi will take over as Congress president from his mother Sonia Gandhi later this month. Yesterday, Mani Shankar Aiyar said, "Ye aadmi bahut neech kisam ka aadmi hai, is mein koi sabhyata nahi hai, aur aise mauke par is kisam ki gandi rajniti karne ki kya avashyakta hai?" He was referring to an attack by PM Modi on the Gandhis while inaugurating an international centre named after Dalit icon BR Ambedkar in Delhi.